Leading sailor and weather forecaster Libby Greenhalgh is proof that the right training can take you a long way; all the way around the world. A tiny 5ft 4, bespectacled and slight, the last place you would expect to see Libby Greenhalgh is on a 65 ft racing yacht, surfing giant waves in the Southern Ocean. But Libby was hired as navigator on Team SCA, the first all-female crew to compete in the Volvo Ocean Race in over a decade. Having sailed her whole life and worked as a meteorologist for the Met Office and the RYA, she had excellent skills for the role. What she didn’t have was the physical strength needed for offshore racing. “I was worried about my size,” admits Greenhalgh, who was recovering from knee surgery when she was signed up. What followed was a gruelling training programme, working as a team, six days a week, from 7am to 8.30am, focussed primarily on strength. Most athletes are aiming to become the best jumper, runner or weight-lifter. Yacht sailors have to be all these things. Moving sails is a major part of life on board and these can weigh as much as 100kg. As such, Greenhalgh and her team mates had to build on strength, resistance, endurance, flexibility and agility. Weights such as kettlebells, barbells and heavy balls were combined with bodyweight exercises like pull-ups, box jumps and resistance bands to build muscle. 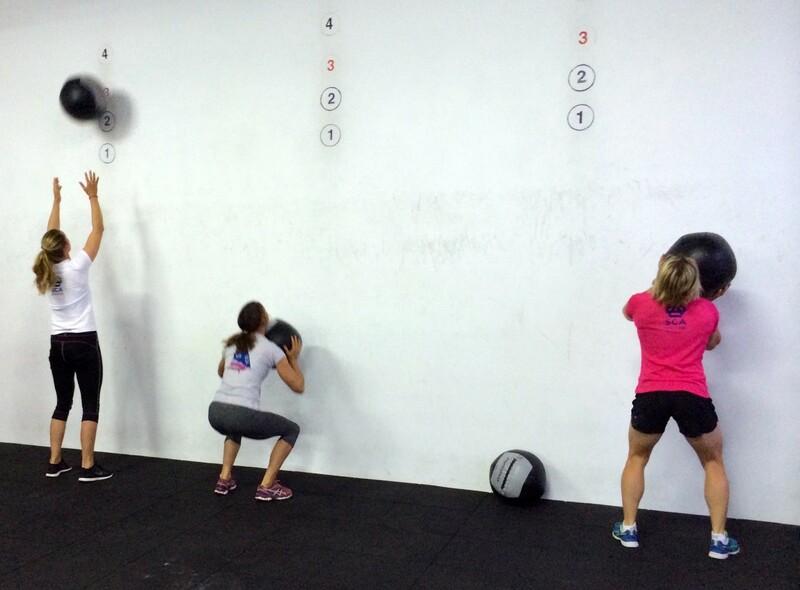 Circuit training was de rigueur as was core strength routines on exercise and Bosu balls. Cardio fitness was also encouraged on rowing machines and weekly runs. “It was pretty full on, a huge step forward. Building up strength was my biggest challenge. The physical change across the whole team was astounding. It really felt like our bodies were getting a pummelling,” says Greenhalgh. It paid off. 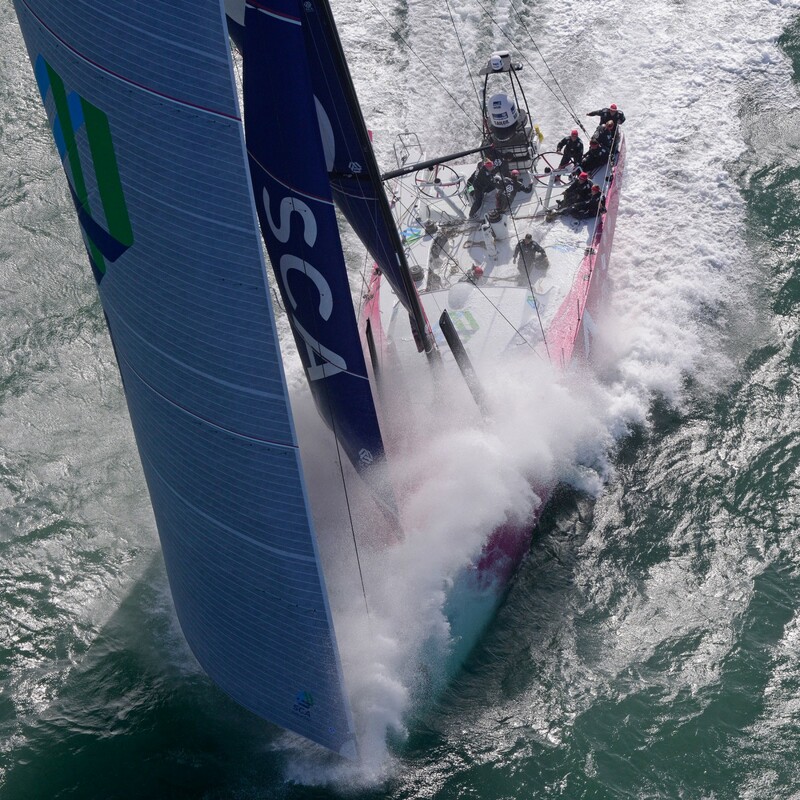 Team SCA put up an impressive fight throughout the 2014/15 event, competing on a level playing field against boats crewed by men. A highlight was winning leg 8 of the competition. Equally rewarding was the reaction from fans. “Friends were e-mailing us, telling us the fact that we were out there, in the middle of the ocean, had made them run a little further on the treadmill, spend a little longer in the gym. Complete strangers started following our progress. They would turn up at stopovers and thank us for being role models for their children. That was amazing for us,” she says. This momentum has led to the creation of an umbrella organisation called The Magenta Project, referring to the colour of the SCA boat during the Volvo, which will promote women in sailing. “What we went through shows that if you set your mind to it you can achieve anything,” says Greenhalgh.